During a late afternoon walk in the woods earlier this month. 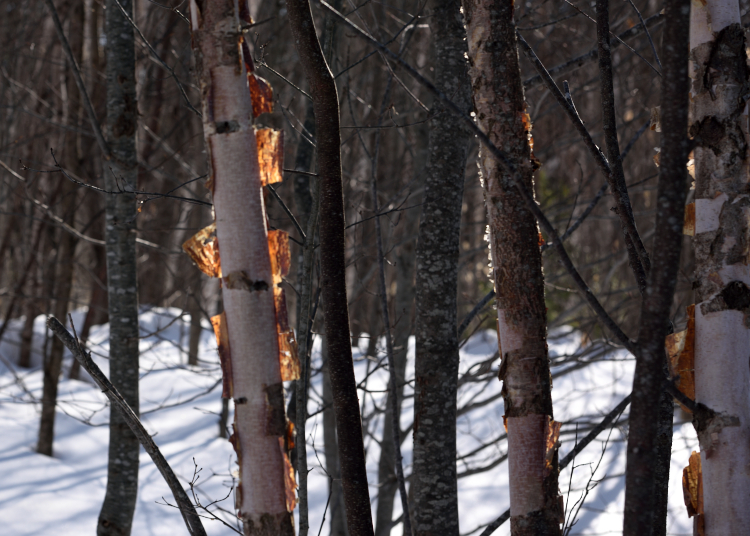 Birch bark catches the sun’s rays. 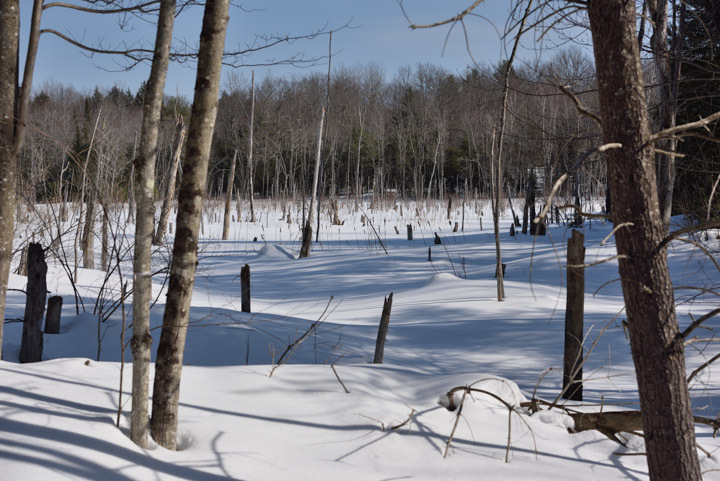 The beaver bog looks quite empty with three feet or more snow lying around. The countdown to the bog’s version of “ice-out” has begun, however. 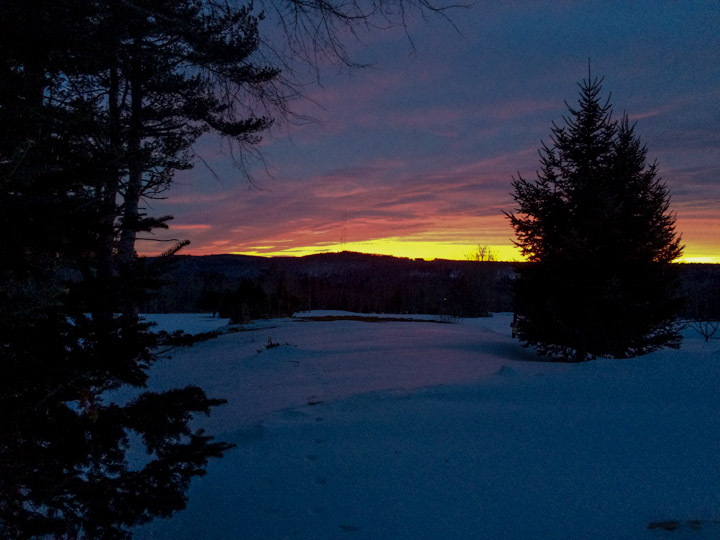 Last week during the January thaw in mid-March in central Maine, we had a great unplanned sunset show. I got stuck behind a slow driver while the best part of the sunset occurred overhead. Here is what I was able to capture when I got to the local hilltop.